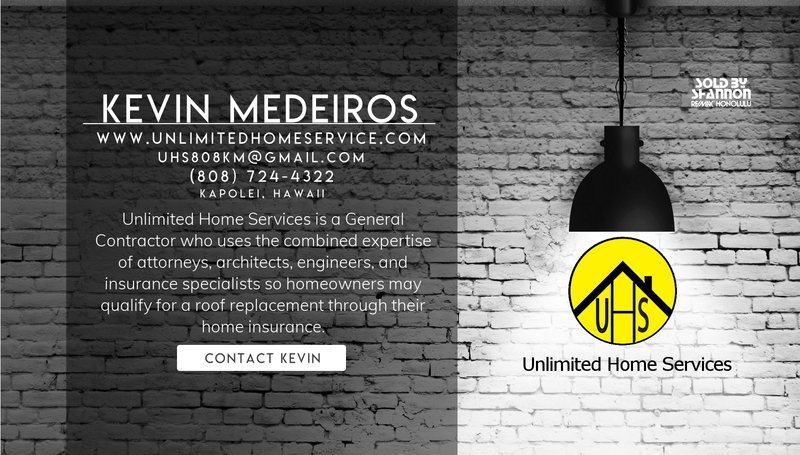 Kevin Medeiros and his team at Unlimited Home Services is a General Contractor I recommend to my clients, friends, and family for all of their roofing needs. UHS utilizes the combined expertise of attorneys, architects, engineers, and insurance specialists so homeowners may qualify for a roof replacement through their home insurance. Their unique system ensures that your estimate is processed quickly and for the proper amount. They also use only the highest quality products with a lifetime warranty on their shingles. Visit their website to see a sample of their work and their process from start to finish.